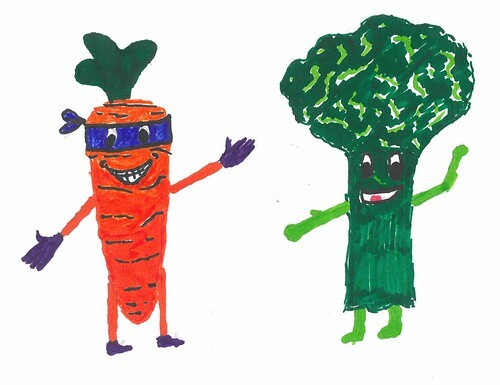 “My name is Mr Broccoli, what’s yours?” “Carrot E Chopper” he answered, “do you want to go to the park”. The two walked to the playground, they played on the swings and took turns on the slide. A villain popped out of the bushes and shouted “my name is Baby Rakka”. Baby Rakka tried to kick the two friends out of his way. 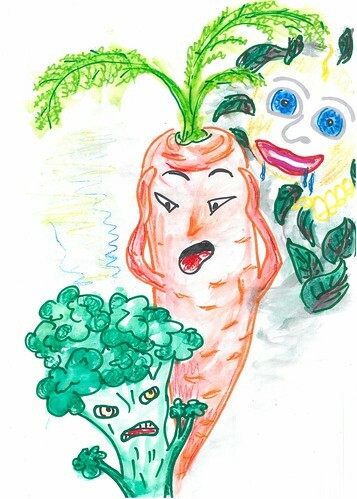 Carrot E Chopper screamed “hhhhhhhheeeeeeeehhhhhhaaaaa”.